Today there are legions of bright, talented students who want to attend college but simply can't afford it. Without donations from other students and alumni to provide scholarship money and other financial aid, many of them are turned away. When most of us think of giving such a gift, we first think of writing a check. But there are several different and lesser-known ways to give aside from that option. Rotunda Eaton, who received her MHA degree from WSSU in December 2011, has taken a creative yet generous approach to giving back. 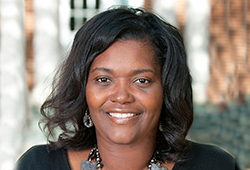 After weighing her options as a young alumna, she decided to fund individual life insurance policies and name WSSU and N.C. State University, where she obtained her undergraduate degree, each as beneficiaries. Another policy will benefit Gardner Webb University, where she received her MBA. It's likely that Eaton's donations will far exceed the cost of the premiums she pays. Eaton, who has worked for the university in various capacities since 2004, is now the assistant director of Business Services. Helping college students achieve their dreams is something she's been passionate about for years, she says. "I just saw the need, and wanted to give a gift that would serve several people," Eaton said. "When I first came to the university, I worked in Advancement for five years or so, doing fundraising, and I learned about this donation method. It was an option that really appealed to me as a way to give back." Eaton says her motivation to donate scholarship funds is to provide others with the educational opportunity that she feels fortunate enough to have had. "It's important to give other students the opportunity to search out their dreams," she said. "So many people have the desire to go to school, but they just don't have the funds. With me working at this institution, and working with students, I especially see that need. And I know that if you can contribute in any way, it is very possible to open up doors and provide life-changing opportunities for others." 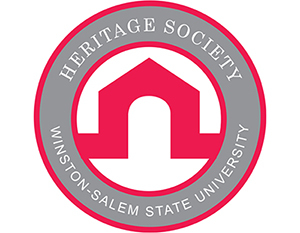 For more information about the many methods of giving back to WSSU, visit wssufoundation.org or call us at 336-750-3114.